Ecstatic Dance... Main Street Yoga | Experience the joy of being fully alive in your body. Experience the joy of being fully alive in your body. There are a lot of awesome ecstatic dance opportunities in Madison, Wisconsin. The goals of this site are to share information about the Ecstatic Dances that take place at Main Street Yoga on Sundays & Wednesdays; and the other wonderful ecstatic dance opportunities in the area. No previous dance experience is required, just a desire to move your body. Each Sunday & Wednesday, we come together to connect with ourselves, each other, and the present moment on the dance floor. 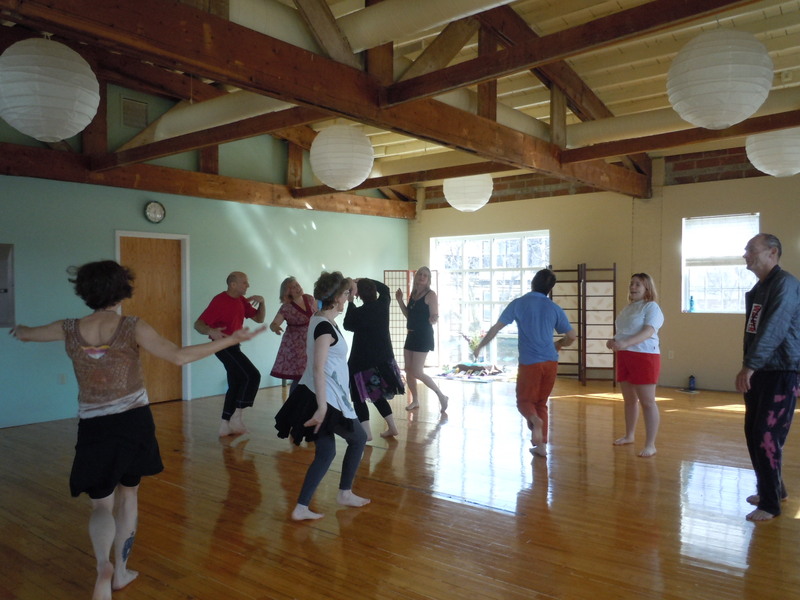 The space has abundant natural lighting and a nice wood floor to dance on. Our rotating DJ’s put together an eclectic set of music to create a state of flow in our bodies. The music creates an environment that supports personal growth, encourages connection to others, and accesses the fun and healing power of creative expression through movement. Tracks start slow and meditative, build in intensity, and then slow back down again to a point of stillness. When the music ends, we take a few moments to silently integrate the energy of the dance. We quietly go back into a circle – and spend a few more moments in silence before sharing our experience. If people are interested, we invite you to bring a snack to share with the group at the end of the dance. We create an altar each week upon which any member of the dance community can place an offering, something representing themselves, or some item that we may wish to charge with the energy of the dance. We have all ages, young and old. The space is very child and family friendly.